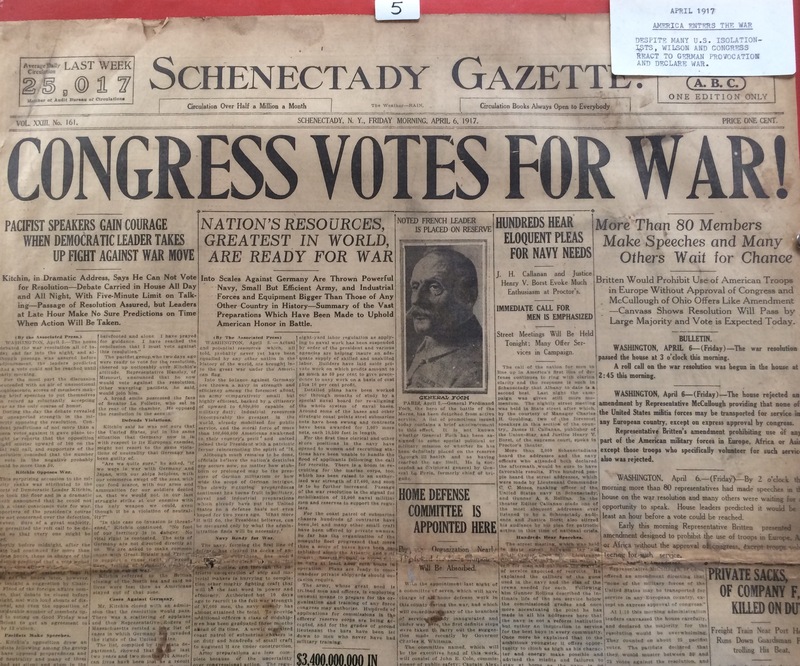 This is the front page of the Schenectady Gazette from April 6, 1917. We have a copy in a giant-size scrapbook donated to the Flint House by Marjorie Englehardt. 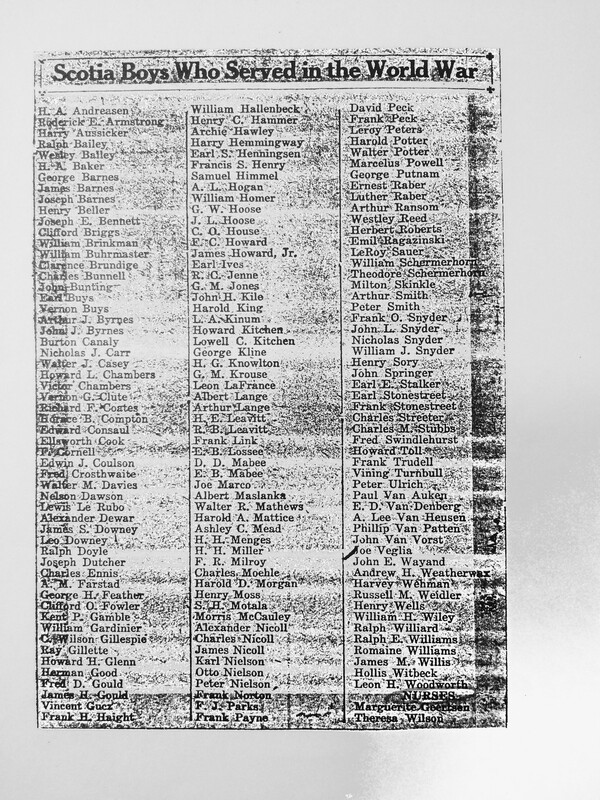 Below is a list of Scotia men–and women–who served in the war. This clipping is undated. I copied it at the Glenville History Center. Joan Szablewski, the Glenville Historian, has collected lots of information about all the wars Glenville citizens have experienced. They also have a link to the free New York records available on ancestry.com. The Library of Congress has many records as well; they recently posted issues of the Stars and Stripes newspaper, which was published for soldiers of this war.